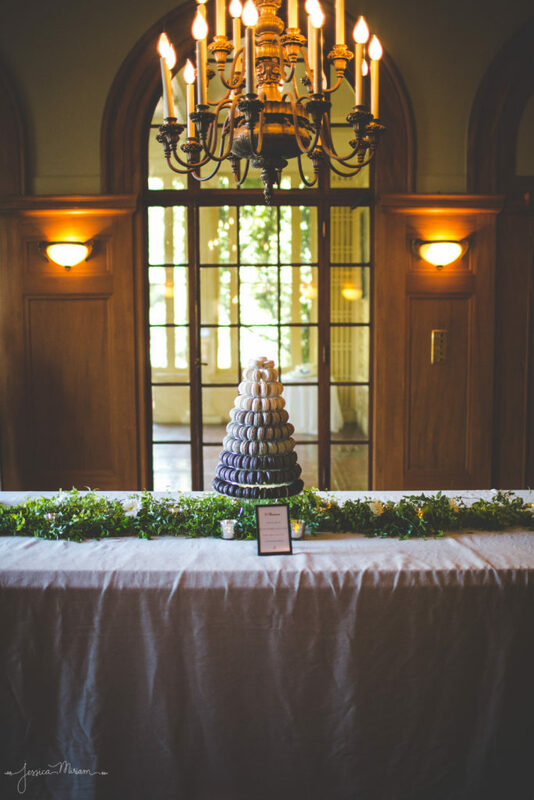 This is an incredibly belated post, so let’s call this a #FlashbackFriday remembrance of a beautiful Labor Day Weekend wedding at Villa Montalvo at the Montalvo Arts Center in Saratoga, CA. 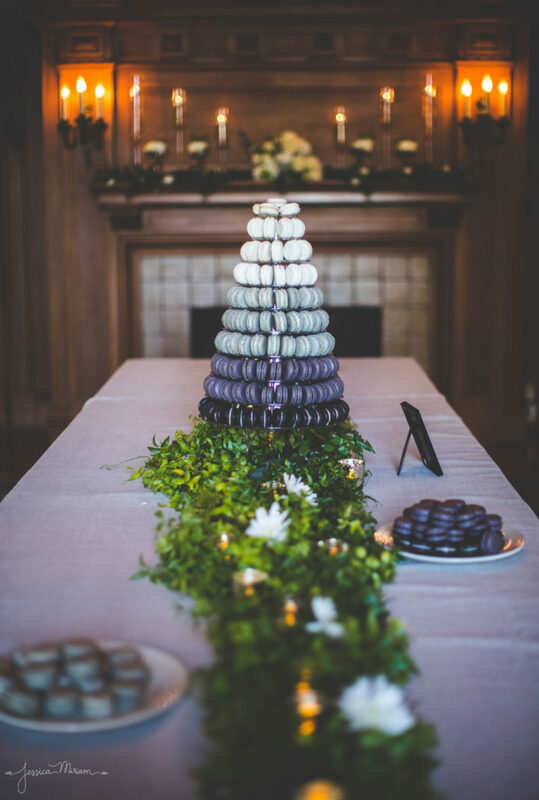 The bride’s aunt made the wedding cake, so the special request here was for an ombre macaron tower to match the black and white theme for the wedding. From top down, we have vanilla bean, black sesame, Earl Grey ganache, and cookies & cream macarons. I’m thrilled to share these beautiful photos from Jessica Miriam Photography. 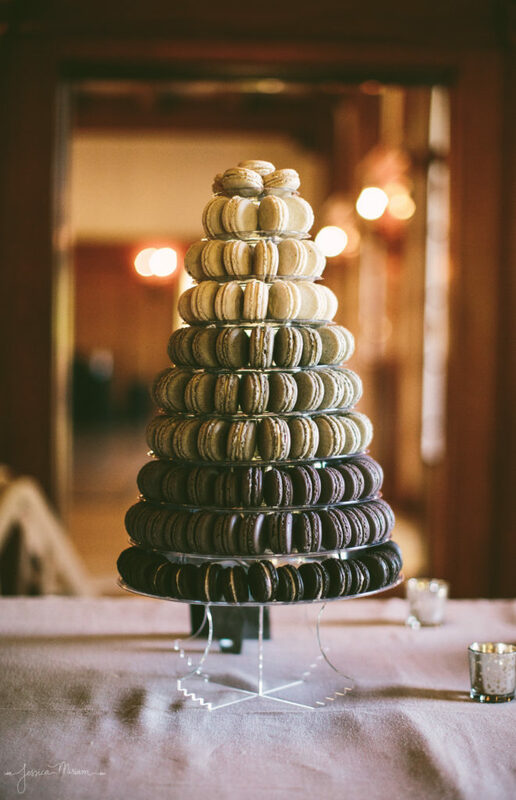 What an honor for the macaron tower to get its very own dining room feature!